Greatest Events in Sporting History: Sir Alex Ferguson, Bloody Hell. 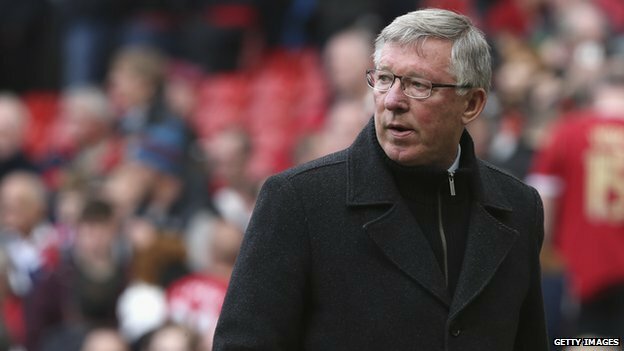 When the rumours about Sir Alex retiring first surfaced on Twitter, late on Tuesday evening - sparked from journalist, Mark Ogden - I was sceptical. After all, Ferguson had planned to retire back in 2001, only to recant. The venerable Scot seemed such a fixture in British football, that the thought of him no longer prowling the Old Trafford touchline, incessantly chomping on a stick of chewing gum, seemed a prospect too absurd to countenance. During one press conference, Ferguson answered a question from a journalist, who queried how long he could go on managing for. With a impudent smirk, Ferguson replied, "I'll outlive all of you, that's for sure." While it was a sharp bon-mot, it was one of those jokes that seemed to have an ineluctable truth at its centre. How many of us genuinely thought that the joke was funny because it was true? So how to sum the man up? We'll all remember him in different ways, but for me, Ferguson always seemed redolent of Don Vito Corleone, the eponymous lead from The Godfather. Not literally, of course. I'm sure Sir Alex never made a few phone calls to have somebody 'whacked', but it seems fitting that one of the greatest managers of all time bore resemblance to one of the greatest film characters of all time. There are numerous Ferguson anecdotes, far too many to mention on here, that would fit those adjectives. But he seemed to run his domain with the omnipotence of a Mafia don. Again, to state, this is only a metaphor. I'm not accusing Ferguson of being a criminal, but it's true that he had absolute control of things at Old Trafford, and anyone who was in a position to undermine that... well, I think Don Corleone put it quite well. For me, the primary reason why Ferguson was so successful, was that every decision he made was for one aim; Win trophies for Manchester United. Whether it was tweaking formations, playing styles, selling established players, placing his trust in younger ones, refreshing his coaching staff, mind games, and even supporting the questionable Glazer regime; it was all to win. And keep winning. And keep winning. Part of why I still find it hard to accept that Ferguson is finally finished as a manager, is that without realising, he's been one of those sturdy, enduring figures of my life growing up. Much like the Queen, or Margaret Thatcher. I may not always (or ever) liked them, but they were always there (by the way, notice how two of those figures often proved a bane to the people of Liverpool). While I vacillated on Ferguson the man, I was unwavering on Ferguson the manager. There's no club who wouldn't have wanted him in charge. I remember United scoring a crucial late goal during last season's title run in. Commentator, Martin Tyler exclaimed, "Manchester United do NOT. LET. GO!" It's a line that could just as easily apply to Ferguson. And many of the quotes we'll be certain to hear on Ferguson could just as easily apply to Manchester United, as they are two entities completely indivisible from the other. It's no wonder that some people are finding Sir Alex's retirement tough to accept, as he's been in charge for over a quarter of a century. He was a man who always had to have the last word, so it's apposite that I end this post by paraphrasing the great man, using maybe his greatest quote of all; Sir Alex Ferguson's retired, bloody hell.